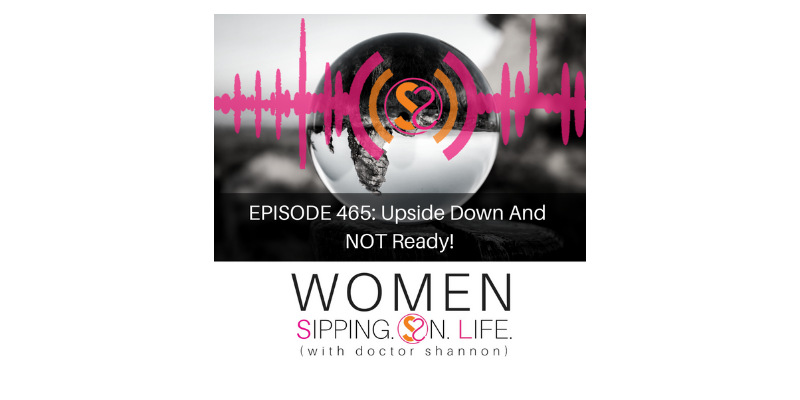 EPISODE 465: Upside Down And NOT Ready! If you’ve ever felt “upside down and not ready,” today’s message will help you get upright and be ready. Today I’m going to teach you a way to reset yourself when you’re feeling P.A.I.N., and need to activate your healing. If not, you’ll resist the feeling and it’ll stick around. Ask yourself if what you’re feeling is real. What is it that I can learn from this? Look for understanding and power in it. Journal about how you’re feeling right now. Walk through the process…in order to heal whatever you’re feeling.